Audra Richards is off to quite the start in her professional career. 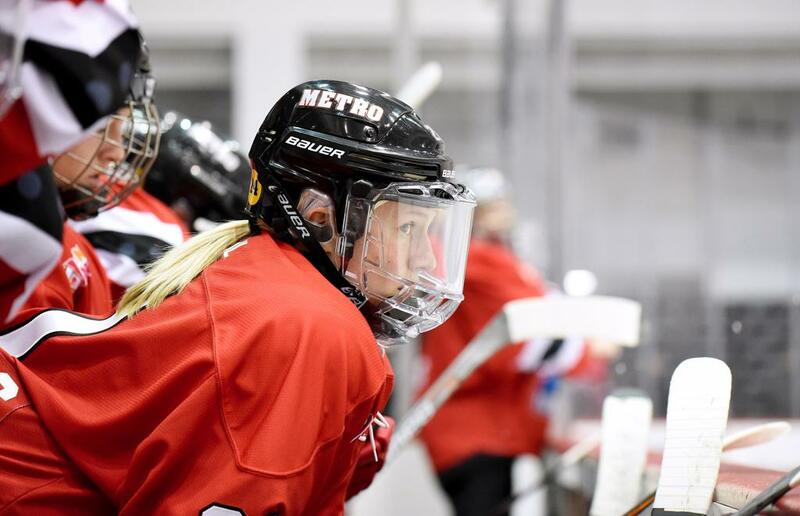 The Metropolitan Riveters forward from Maplewood, Minnesota is second in the league and leading her team with eight goals in 12 games. Not bad considering she hadn’t played at all competitively the past two years. As we found out when we talked to the 24-year-old one night before practice in Newark, it was the 2018 NWHL All-Star Game in Minnesota a year ago that ignited that fire in her belly to put on the skates again. That decision led to her signing up for the Buffalo Beauts free agent camp and then, “[Rebecca] Russo saw that I was at that camp and said ‘Nope. She’s coming to the Riveters.’ So that’s how that all came about and how I’m a Riveter,” said Richards with a smile. They weren’t always friends. Back in the day, they were rivals. Big rivals. 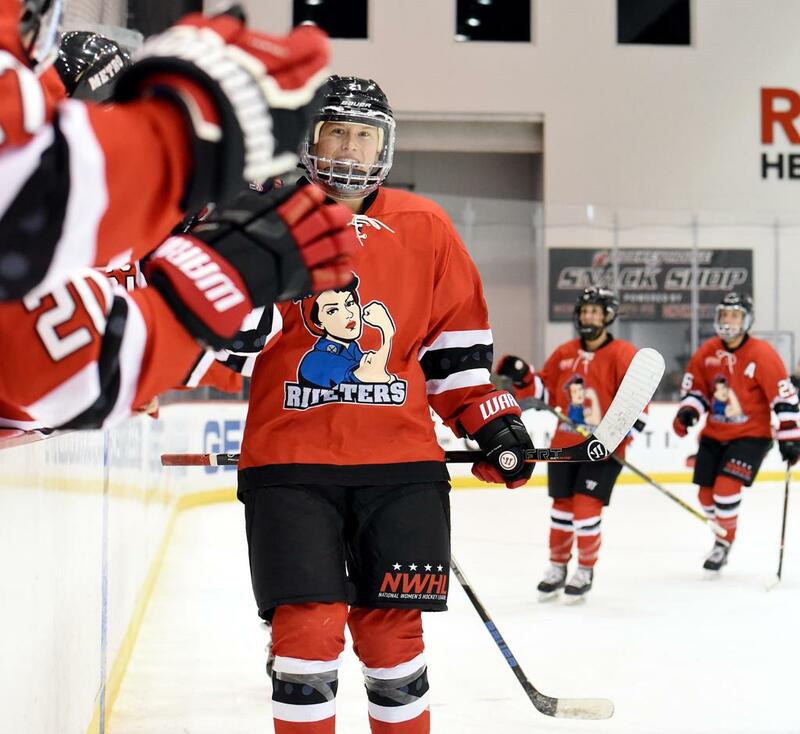 All rivalries aside, Richards has enjoyed being a part of the Riveters. “I guess I decided that I miss the competition, and then decided I want to play. Everything happened to work out really well,” she said. 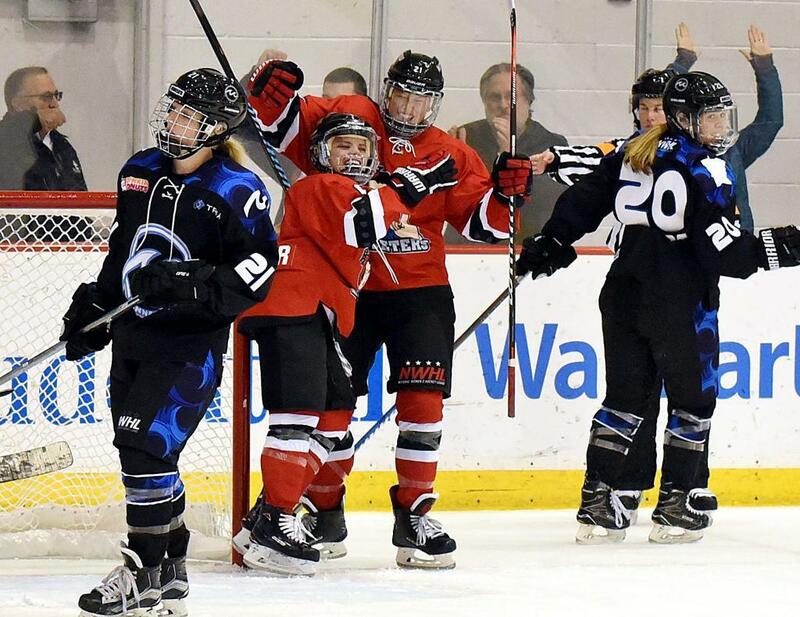 The Riveters and their fan base are ecstatic to have such a talented forward to offset the loss of Bray Ketchum to retirement, and she’s just two goals short of tying the team’s single-season record. You signed pretty early in the signing period, signing with the Riveters on July 9. My biggest thing is I always want to know what I’m doing. I don’t like waiting to see. If you want me, you want me. I’ll go wherever I’m wanted pretty much. Luckily you got to play your first two games as a pro at home in Minnesota. How special was that for you? It was very special. There were over 100 people there for me, so that was pretty awesome. I definitely didn’t play the way I wanted to play but it was the first game I played in two years, so I had to get everything out of the system. It was fun though. A few weeks later, you scored your first pro goal against the Whitecaps at the Riveters’ home opener at Prudential Center when they raised their championship banner. That had to be pretty cool, right? You have 8 goals over your first 12 games as a professional, have you ever gotten off to this kind of start before? Or had this kind of hot stretch? In college, I had a few stretches where I scored a good amount of goals in a short period. But this is probably the hottest I’ve been throughout a whole season. I have gotten a couple of multiple-goal games. I guess it just depends if my stick is hot or not. I try to stay humble. Goals are goals, but in the end, I just want our team to win. And you have no assists, so I guess you don’t like to pass? I do try to pass, (laughs) but I like to shoot the puck. I’ve always been taught if you have a chance to shoot, shoot the puck. Don’t give up those opportunities, and the last game against Connecticut I just happened to be in the right place at the right time. I should thank my teammates for being such great teammates and passing me the puck all the time! You've started playing with Amanda Kessel and Madison Packer on the power play. How much easier is it when you have a player of Kessel’s caliber passing you the puck? And the defense will maybe leave you open focusing on her. Oh yeah, she can get the puck to me wherever I am on the ice when I don’t even think I’m open, so that’s kind of nice. When she does shoot the puck, last game she just hit me in the shin pad as hard as she could. She’s a great player who can create a lot of stuff in front of the net, and I just have to be there to put it in. You have only one game without a shot on goal this season. Is that you making a conscious effort to shoot the puck? Definitely. If you don’t shoot, you can’t score. My big thing is to shoot the puck, and I’ve found out through coaching that if you don’t shoot the puck you’re not going to score. That’s one thing I harp on myself and other players. What do you think is the biggest difference between the college and pro games? The speed and the movement of the puck. It’s definitely a much faster game from college. I would say a lot more team play too. Just passing the puck, quick decisions, and if you’re not on top of it then you’re going to get eaten alive out here. For those that don’t know, what is your day job when you’re not playing hockey? Myself, Kristin Lewicki, and Alexa Aramburu, we throw axes at an axe-throwing place in Paramus. So we teach people how to throw axes at wood. I heard about these places in Minnesota but didn’t think it was a huge thing. Now there are tons of places in New York and New Jersey where you can do it. I usually get in like 11 am and answer some phone calls, drill up some wood, wait for customers to come in and then teach them to throw axes. Let them have fun, play some music, and just have fun with it. How are you adjusting to living in this area? It’s way busier here. Lots more people and lots more cars. I feel like I’m in traffic all the time! Otherwise, it’s fine. Just a lot more people in a small area. A few weeks left in the season, what are you focusing on as the playoffs rapidly approach? I think the Riveters, we can beat anybody in this league as long as we’re together. We just have to play our game and try to win for each other.